This watch is also known as: CRW25075Z5 , 2698 . 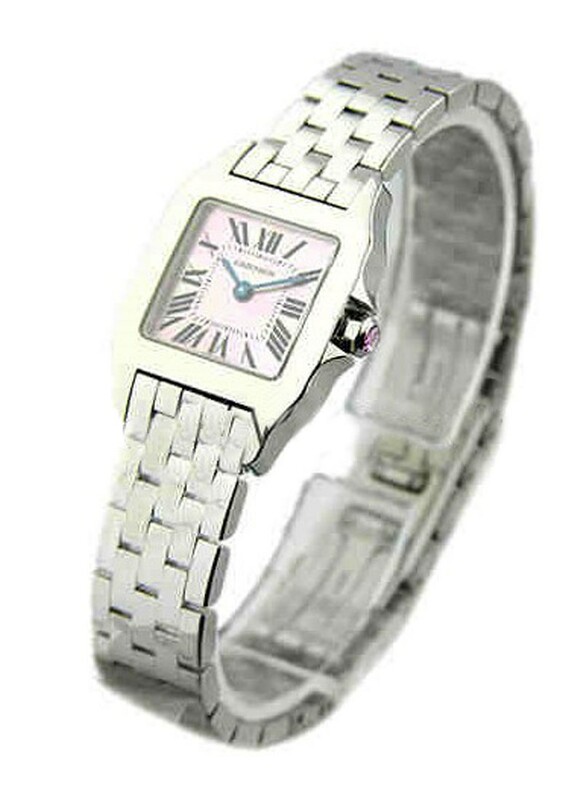 Check out this Cartier Santos Demoiselle Ref#:W25075Z5 with a Pink MOP Dial Steel. It has something one positively must have. 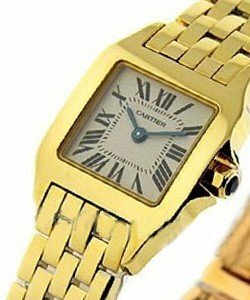 A perfect fit for Women who loves small size of Timepieces. 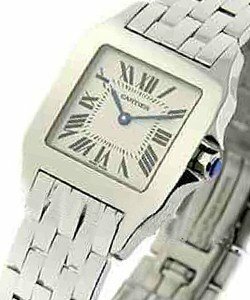 Cartier Santos Demoiselle Ref#:W25075Z5 has a feature of Stainless Steel Case with a 20mm Case size. 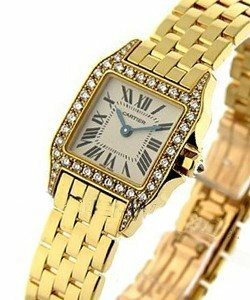 This Cartier Santos Demoiselle Ref#:W25075Z5 also features its Pink mother of Pearl Dial with a Stainless Steel Bracelet. 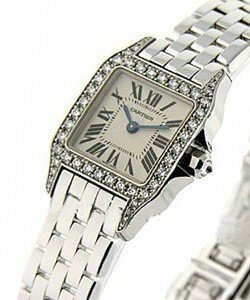 It also has a Black Roman Numerals and has a Quartz Movement. 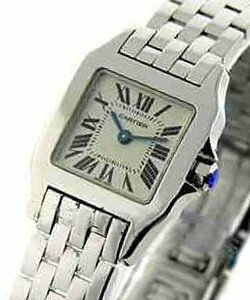 This Cartier Santos Demoiselle Ref#:W25075Z5 also has a scratch Resistant Sapphire and water resistant as well. 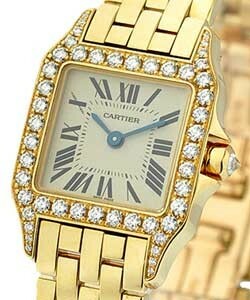 In Addition, this Cartier Santos Demoiselle Ref#:W25075Z5 is a timepiece worth for the value of your money. Great deals are awaiting you so in just a click of a Button the name will tell you so.